Redken Guts - gives me volume and helps my hair not get greasy on the second day of not washing it. 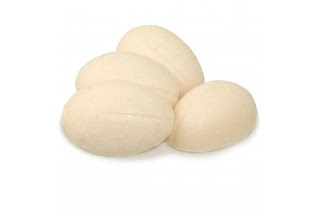 It comes out as a mousse that you run into your roots, and it gives you a bit of lift. Redken Fabricate - An aerosol heat protectant you spray onto your hair before you use a flat iron. I love this stuff! It seems to give my hair a little bit of hold as well. Framsi Wio Balm - This is a straightening balm that I put in my hair while it is wet. My roommate has used it for years so I borrowed it for my how to get a vampire boyfriend video. I had to order one for myself because it really made a difference. The only annoying part is it is really hard to find. OPI Polish in "Bubble Bath" - the perfect pale pink/white. I love the color and I love the name. Enough said. Nars Laguna Bronzer - One of my all time favorite bronzers. I have repurchased this several times. Keeps me bronzed in the winter months. Mac "Teddy" Eye Kohl - a chocolate brown liner with a touch of bronze. This is pretty when I don't feel like going too dark. That's all I can think of at the moment. My mom has already passed out and I am getting realllly sleepy. Last night I took a long bath, and I decided to use my Cinders bath bomb from Lush. I have been saving this one for several reasons. First of all, the scent is completely captivating, all cinnamon and orange. Second of all, this bath bomb claims to make crackling noises as in dissolves just like the sound a fire would make on a cold night. So, naturally I saved it for a "rainy" day. It has been freezing and snowy for the last several days so I figured last night was the perfect night to use it. But then... luck changed! Before I knew it the crackling started, and I noticed the water had turned a nice orange color. The smell was amazing, and the crackling went on for longer than expected. I can still smell Cinders on my skin. Bottom Line? Yes, I would repurchase this one, but not to use on a night where I want to lay around in a bath for hours on end. This was a fun little bath bomb. I wish Lush made more stuff in this scent! $3.95. As you guys know, Blair and I visited a lush when we went to Atlanta. I have been doing so many videos about lush lately that I decided to show my haul on here instead of yet another lush video. This trip was really fun, mainly because we got to go to a lush with a bunch of our subscribers, who helped us pick out new things to try. These are for my momma, because she tried my Mr. Butterball before Christmas and fell in love with it. 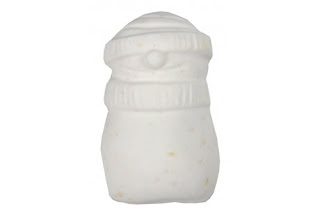 Mr. Butterball has vanilla and cocoa butter in it to soothe your skin, and he makes the water feel amazing! He is $3.95. I might take one of these to try since Mom took mine before the holidays and I never got to try him! I got her a few Star Melts because she loved the scent of my room after I used mine. She immediately asked if I had any more and I felt terrible that I didn't! 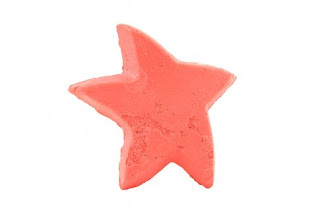 So I got her 3 :) The star melt is described as a pink Christmas bath melt that smells like Vanilla and Candy. It also turns your water pink! Sounds good to me! These are $5.95. I then picked up a few new things for me to try. I got a Glitterbug Massage Bar, which smells like vanilla and rose, and has tiny blueish sparkles that give your skin a fairy glow. This little bar is expensive, and tiny, so I'm not sure I will be repurchasing, but I still couldn't resist. It is called a GLITTERBUG after all. How cute is that!? This little bug is $6.55. My next two items are my FAVORITES! I was so excited to try these. If you are fortunate enough to live near a lush store or counter I would go see if you can check these out. smells like Lavender and Vanilla - LOVE! This one is SUPER glittery and pink! And yes, I spelled the name right lol! $5.65. bath LIQUID GOLD! As soon as I saw my friend, EGheartsssc on YouTube, talk about this I knew I needed to have it. Glitter makes me happy. Glitter + bubbles = super happy Elle. You get the picture :) $5.95. 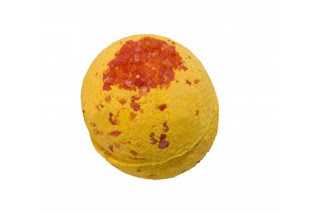 This one has citrus scents, to help pep you up and make you giddy (that's my own description. Lush should hire me. j/k, j/k). And last but not least, a oldie that I adore. I was out of my Comforter Bubble Bar so I picked up another. I adore this little pink and white monster. It is $8.75, but I like this one because I can break it into 4 pieces so it lasts for 4 baths, unlike most others which only last for 1 or 2 baths. All of these can be purchased at LUSH.